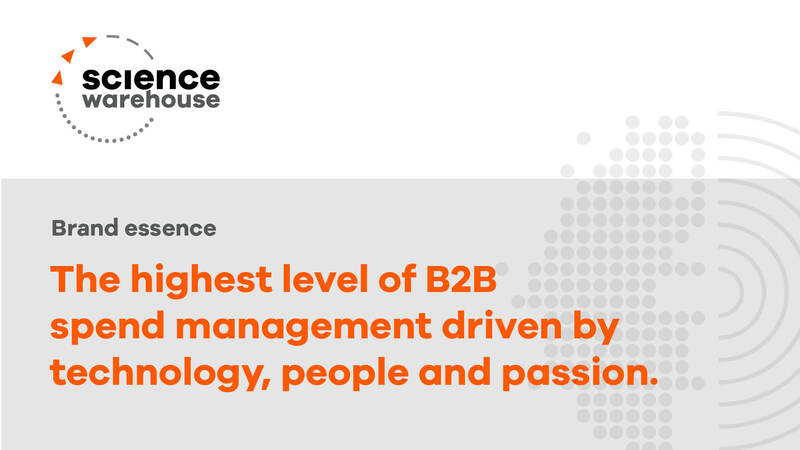 Delivered by an expert team and proven cloud-based technology, Science Warehouse enables organisations to drive efficiencies through the Source-to Settle procurement process. Science Warehouse needed to increase brand awareness so they could increase market share. They needed to educate the audience about their new capability in delivering a full source-to-settle process. 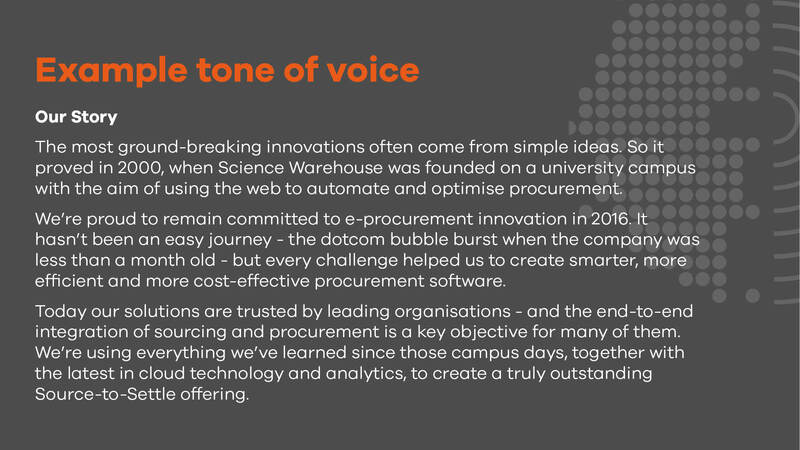 They realised that to stand out, not only in the market, but from the general ‘boring’ stereotype of procurement in general they would need to depict the energy, passion and vibrancy that existed within the company itself. 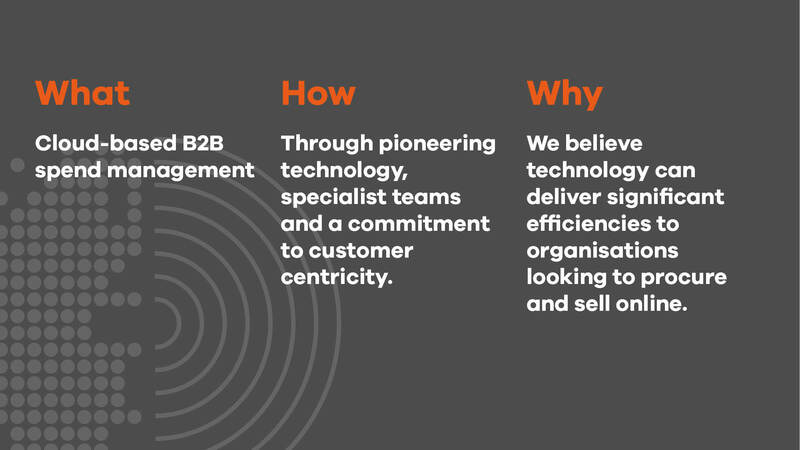 Voice of customer interviews and workshops attended by key business stakeholders, together with extensive competitor research, helped us to uncover Science Warehouse’s biggest strengths, opportunities and challenges. This insight was used to create a market-facing brand proposition to articulate the brand personality, values and the tangible benefits of their service to the customer. To tell the brand story, the new suite of messaging and identity was brought to life in marketing materials and other collateral. The Science Warehouse website was completely rebuilt to represent the updated brand and message, with a user experience designed to suit both of the company’s main audiences – buyers and sellers.